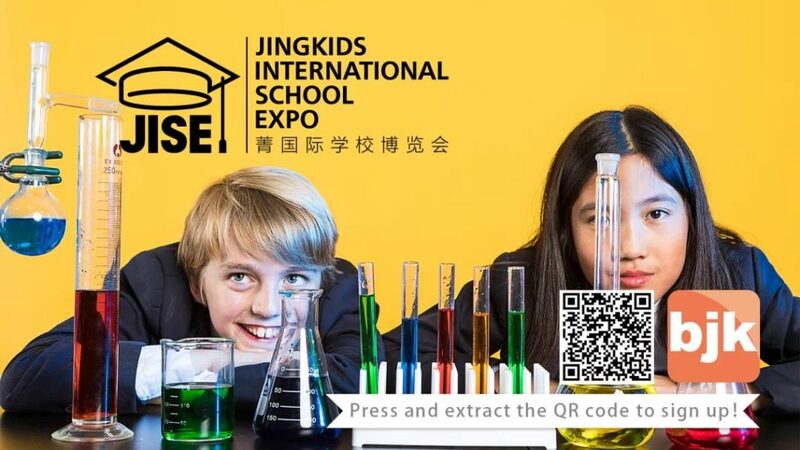 With over a hundred international schools in attendance, educational forums given by both parents and experts, activities for bourgeoning student entrepreneurs, and much much more, the Jingkids International School Expo (JISE) 2019 is something you can’t miss out on this coming February 23-24 at Kerry Hotel, Kerry Mall, and Kerry Sports. 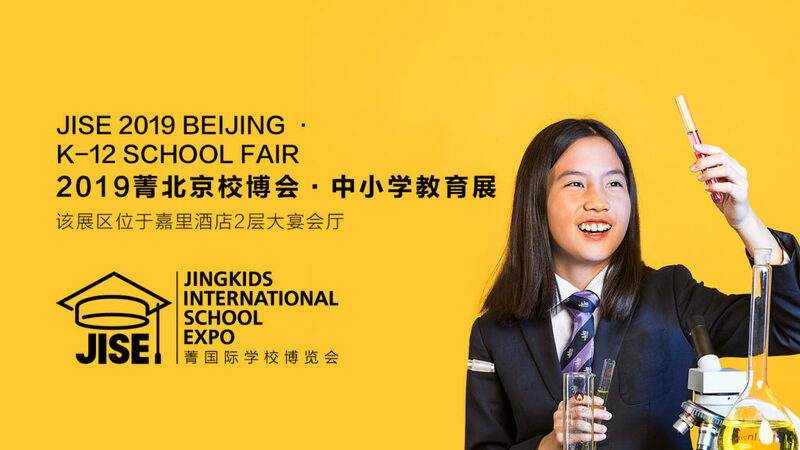 This expo is the most all-encompassing and largest-scale education event of its kind, that not only brings together an incomparable number of attending schools, but also a large, diverse number of attendees from Beijing’s local and expat parenting community. In order to shield parents from the overwhelming anxiety that comes along with picking a school, this expo will be a comprehensive educationally focused event seeking to inform in addition to providing a superb venue for schools to show off their fabulous curriculums and facilities. After all, education is not just about school choice. Scan or long-press the QR code above for ticket information. 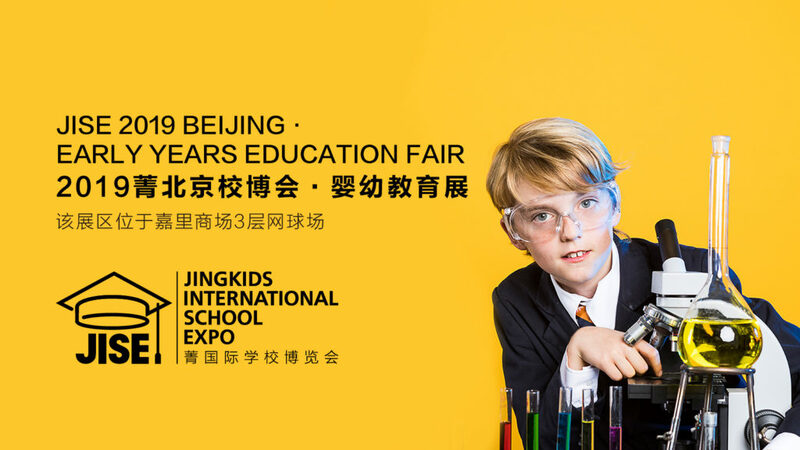 JISE, formerly known as the beijingkids International School Choice Expo, is an annual fair focusing on the latest and greatest in education. We strive to not only give insight into school choice but also the rapidly developing educational landscape as a whole. 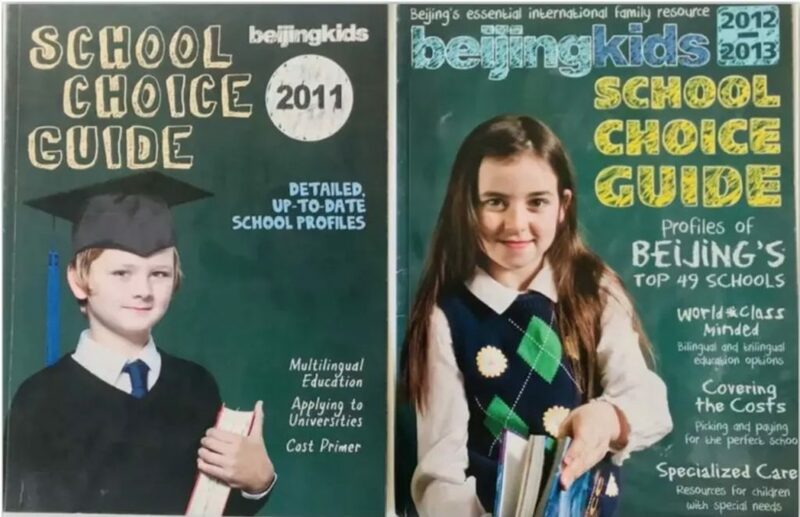 The international education community and a growing number of schools are placing parents into a growing state of anxiety about choosing the right school, allowing for some to blindly give priority to a prestigious school over the necessary long-term educational goals. This year’s JISE is themed “Education Beyond School Choice,” for exactly this purpose of helping parents to ease their short-sighted anxiety and perform a more comprehensive probe into education through the great communication opportunities and learning experiences this expo is designed to present. JISE 2019 will have over 100 schools to choose from, spanning both the K-12 and preschool categories, ready to answer all of your questions about what’s new or more importantly, what’s next! Here’s a list of the schools that have registered to attend the event happening from Feb 23-24, and it’s growing by the day. Education is more than just selecting a school. 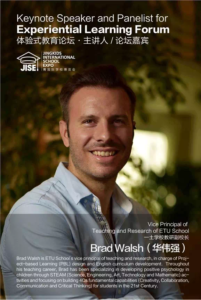 To help inform parents looking to find the perfect fit for their child and providing an open space to explore hot topics that are currently making waves in the world of education and parenting, JISE 2019 has enlisted the help of a variety of specialists from a number of unique fields for our Education & Parenting Forums. Forum participants will be present to discuss the essentials on topics ranging from innovative education trends to mental health, and experiential learning. 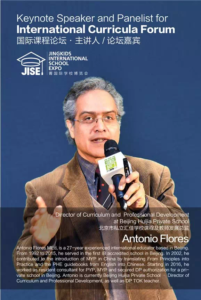 As the event approaches, the complete schedule for the JISE 2019 Education and Parenting Forum has been confirmed. Let’s take a look at all that will be going down from February 23-24 at Kerry Hotel Beijing! What can children actually gain from these courses? What is the difference between experiential learning and ordinary outdoor activities? Why are these schools beginning to prefer these courses over traditional classes? 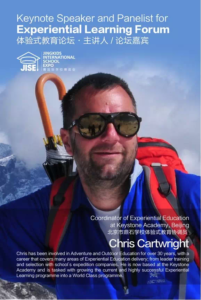 In order to explain what experiential learning truly is, we’ve invited Chris Cartwright (Coordinator of Experiential Education of Keystone Academy), Brad Walsh (Vice Principal of Teaching and Resource of ETU School), and Alex Zhang (General Manager of Nuo Travel), to answer the questions that frequently leave parents confused. What is the education of the future? How should schools, parents, and the whole of society view the innovation of current educational models? How should parents and children participate in this process towards innovation? 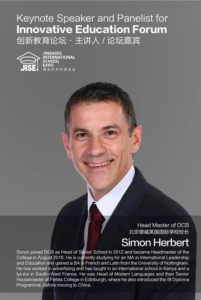 We have invited Patrick Hurworth, Head of School at the International School of Beijing (ISB), Director of Western Academy of Beijing (WAB), Dr. Marta Medved Krajnovic, and Simon Herbert, Headmaster of Dulwich College Beijing (DCB), to share their opinions on advancing curriculums to best prepare students for a future filled with uncertainties. IB or A-Level, which international course is more suitable for your children? 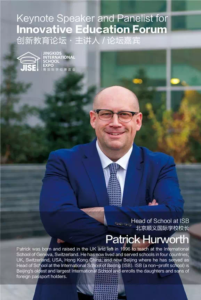 British curriculums such as IGCSE and A-Levels and IB curriculums are the most common types of curriculums found in Beijing’s international schools. 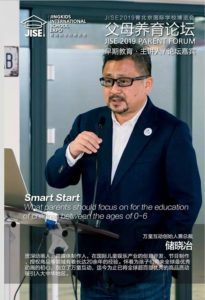 However, the majority of parents have difficulties identifying the advantages or differences between these very important systems of education. 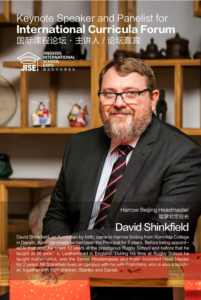 We have invited David Shinkfield (Headmaster of Harrow Beijing), Richard Thornhill (Principal of British School of Beijing (BSB) Shunyi), and Antonio Flores (Director of Curriculum and Professional Development at Beijing Huijia Private School), to give participants a detailed explanation of these prominent international school curricula. What problems have arisen in a family and/or academic environment that might cause a child to sink into depression or even possibly consider self-harm? If we look towards the future, a sound personality and a positive mind are far superior life goals than good exam scores or technical skills. 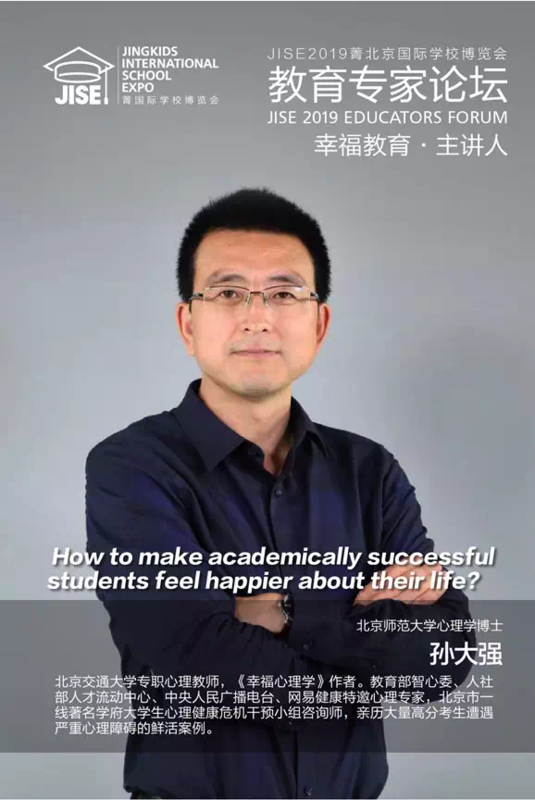 Dr. Sun Daqiang, who is a psychological counselor and consultant for college students in Beijing, has consulted many highly-intelligence students who are suffering from mental illness in top Chinese universities. He will share with the audience some real-life cases and guide parents on how to communicate these important concerns with their children in a positive and constructive way. 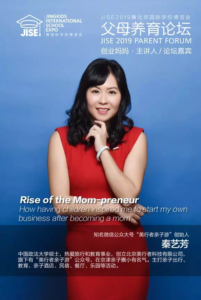 Since becoming mothers, these women have achieved their dream entrepreneurial projects. For most stay-at-home moms who have had to give up their career after having a baby, their lives are full of raising their children, and this can sometimes lead to anxiety and regrets. But a few stay-at-home moms have done things differently, and created a new career in a family-friendly field. 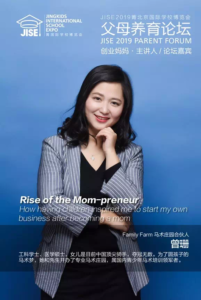 In this forum, we have invited three successful entrepreneur mothers to share their experience of starting a business and what impact this has made on their children’s development. What do children below the age of six need to develop? 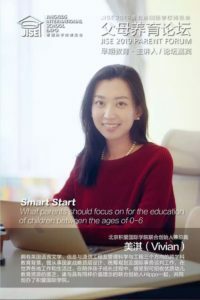 As the second child policy was instigated, the public, especially young parents, have gradually recognized the importance of early education. Because of this, preschool education organizations have sprung up rapidly. 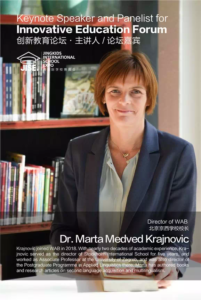 For this group lecture, we will invite four early education experts (Zhang Yuzheng, Vivian Mei, Jessica Ma, Chu Xiaoye) to discuss what should be the most important values in early family education. Jennifer Ma, born in Tianjin, has been working with her parents from an early age after she immigrated to New Zealand with her family when she was eight. She majored in Law and Business at the University of Auckland and then worked for L’Oréal in New Zealand, Australia, and the UK. 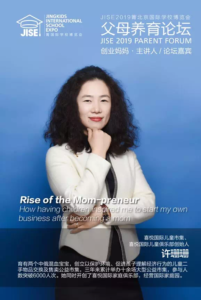 In 2012, she made the decision to move back to China with her three sons and started her own business in Beijing. In her opinion, children have a lot to learn from their parents. 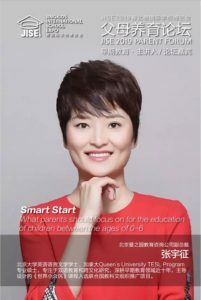 Yi Jie (aka Zhou Guiyi), known for being a “Genius”, a blogger with a million followers, and a CITIC Bestselling Writer, is also the mother of a five-year-old boy. In the eyes of the public, she is absolutely winning at life. With all of these major accomplishments, how does she view early education? If her child isn’t achieving, should it just be considered an acceptable part of life? 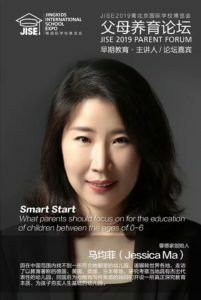 In this forum, she will talk about parent-child relationships, maintaining awareness, and other parenting matters. Join our JISE Youth Entrepreneurship Competition! 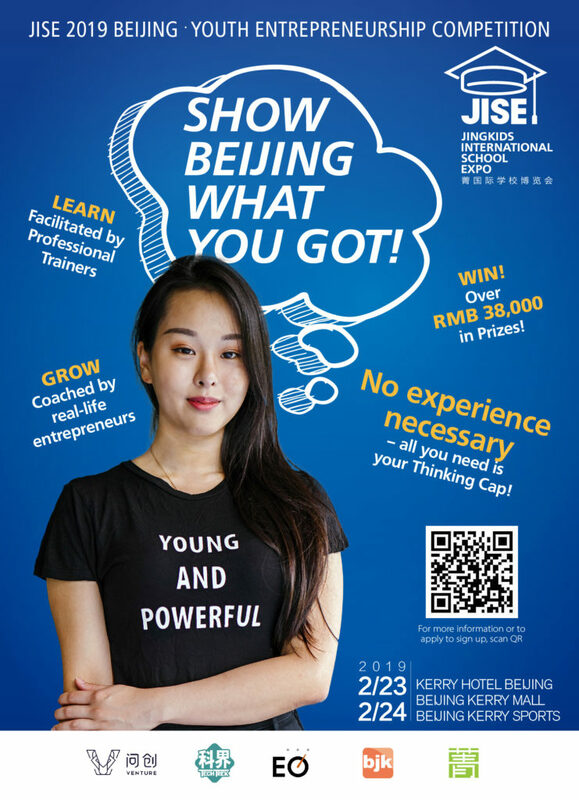 The event, to take place Feb 23-24 at the Kerry Hotel as part of the Jing International School Expo, seeks to provide kids with creative real-life entrepreneurial skills and will be open to teams of five who are currently enrolled at any Beijing school. No experience is necessary to take part – you’ll learn everything you need on the day of the event itself! There are two divisions: Middle Schoolers (Grade 6 to Grade 8, with the workshop happening Saturday, Feb 23) and High Schoolers (Grade 9 to Grade 12, with the workshop happening Sunday, Feb 24). Not only a competition, the event is an awesome learning opportunity for middle schoolers and high schoolers who want to develop their skills. Professional facilitators from Venture Education and Techtrek will coach teams on site on how to develop an idea into a sellable pitch, all in one day.The day concludes with short three minute pitches to a panel of real-life entrepreneurs, to be followed by an awards ceremony with RMB 38,000 in prizes up for grabs. Register here! 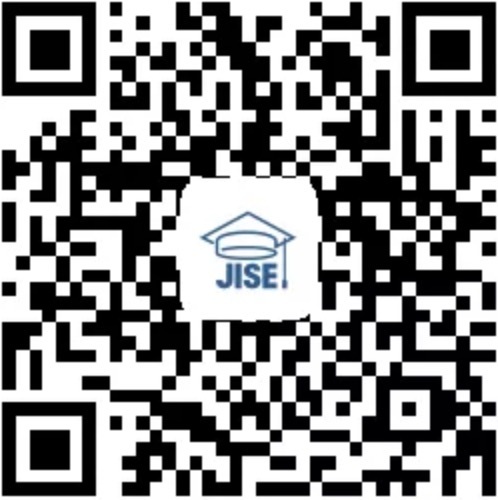 To register for JISE 2019 or one of our education or parenting forums scan the QR code above! 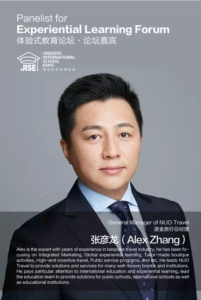 As the forerunner of hosting international school expos in Beijing, True Run is a company advocating advanced lifestyle and educational concepts through the combination of traditional and new media outlets, and planning activities catered towards the diverse range of people who call Beijing home. 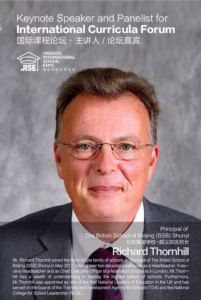 Education Beyond School Choice: Day One of JISE 2019, Beijing!